Over the past 10 years, the costs of developing a new therapeutic drug, from research and development to marketing approval, has more than doubled. Yet only about 1 in 1000 compounds progresses from preclinical studies to human testing. Many compounds identified from large screens fail during clinical trials, typically during Phase II, motivating drug developers to reconsider their screening strategies. For example, many developers are looking for ways to implement high-content screening while maintaining acceptably high levels of throughput. “If we look at drug discovery over the past three decades, one conclusion, for both small molecules and proteins, is that we have been overly simplistic in the way we identify early drug candidates,” says Jean-Philippe Stephan, Ph.D., director of the Center of Excellence for Pharmacological Screening, Compound Management and Biobanking, Institut de Recherches Servier. A key effort in Dr. Stephan’s group focuses on identifying, early during the research phase, chemical compounds that have the potential to be developed into therapeutic agents. “As part of this work, we made investments in platforms to perform high-content screening,” reveals Dr. Stephan. 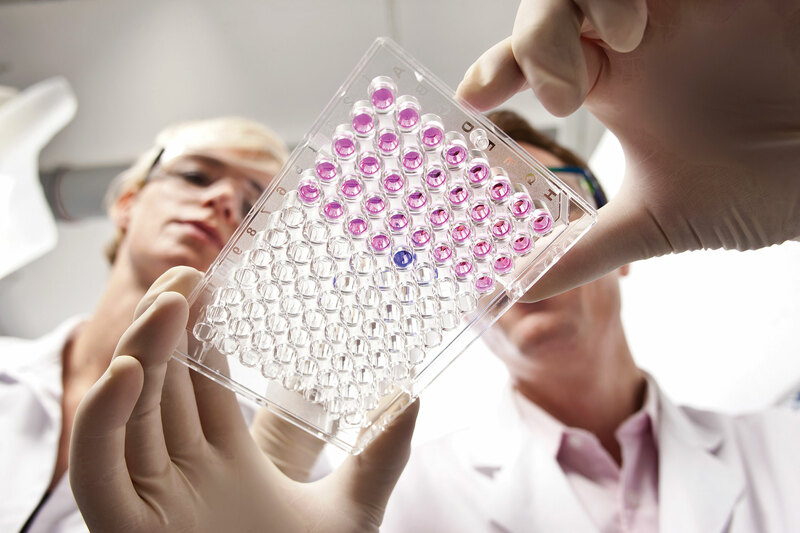 Drug discovery efforts at Servier focus on therapeutic areas that include oncology, metabolism, immuno-inflammation, neurobiology, and cardiovascular diseases. “For a long time, we thought that drug discovery was just a matter of numbers, and that if we looked for a needle in a haystack and screened as many compounds as possible, we would end up finding that needle—even if we used a simple screening method,” relates Dr. Stephan. This view encouraged the development of large chemical libraries, containing millions of compounds, that could be interrogated to identify drugs of interest. In a recent study that discussed the sustainability of current drug discovery approaches, Dr. Stephan and colleagues highlighted the key benefits and challenges of high-content analysis for phenotypic drug discovery. The study considered how high-content capabilities, such as image capture and processing and data analysis, could be incorporated into large-scale discovery efforts while sustaining sufficient throughput. For example, for decades, cells have been grown using two-dimensional culture systems, which do not reproduce the physiology and the elasticity of human tissue. Three-dimensional culture systems model the physiology of live tissues more accurately, but their use is still at relatively early stages. Even when an ideal experimental model is in place, developers must deal with another difficulty: selecting the best readout. Examples of readouts include the size of the nucleus, the intensity of a specific stain, the presence of an antibody in a specific cellular compartment, or the movement of the cell. One of the strengths of high-content screening is the possibility of measuring multiple parameters at the same time. However, virtually all readout types face technical limitations. For example, the number of wavelengths that can be resolved by a microscope is normally limited to four. The limited number of choices for some readouts can bias the biological question that is being explored, and an in-depth knowledge of the biology is therefore critical to allow the selection of the best readout. Yet another difficulty is the need to limit the potential for data bias, such as that which arises when positive controls are used. In high-throughput screening (HTS), positive controls are needed at multiple steps, such as assessment of plate quality, or optimization of experimental design. Historically, controls have been regarded as little more than a technical issue, but developers are starting to appreciate the essential roles of several types of controls at multiple steps of the discovery process. Finally, high-content screening needs to continue incorporating machine learning algorithms, which are expected to become routine in the earliest steps of drug discovery. “Artificial intelligence will enable us to integrate a huge mass of information,” predicts Dr. Stephan. He points out, however, that information that is accumulated or examined piecemeal may be inaccurate or capture too little biological complexity. Comprehensive approaches, in contrast, would be more powerful. They could even streamline screening efforts. “We developed a high-throughput pipeline for spheroid optical clearing, fluorescent high-content confocal imaging, and nuclear segmentation,” says Molly E. Boutin, Ph.D., biologist at the National Institute of Health’s National Center for Advancing Translational Sciences. This work is helping to refine 3D cell culture models, which are already contributing to drug discovery. Many of the 3D models that have been used to interrogate biology have been conducted with spheroids. In spheroids, however, tasks such as imaging and data analysis still pose challenges in HTS. For example, to predict the cytotoxicity of a drug, the size of a sphere in a bright field microscopy image would be used as an indicator of cell death. “But that does not indicate whether the cells that are dying are on the outside or on the inside of the sphere, or what exactly is going on,” says Dr. Boutin. Dr. Boutin and colleagues recently developed a high-throughput spheroid optical clearing and nuclear segmentation pipeline and described how it was used to examine about 558,000 image files from 3000 spheroids derived from breast carcinoma and primary glioblastoma cell lines. Using this automated protocol, the scientists could image a 384-well plate in 1–2.5 hours. Also, the platform allowed the scientists to customize post-segmentation analyses based on individual users’ needs. In this proof-of-concept study, Dr. Boutin and colleagues demonstrated the ability of the segmentation algorithm to identify several subpopulations of fluorescently labeled cells within individual spheroids. “Our lab is interested in how different genetic and environmental factors contribute to disease progression and how we can find drugs that can rescue the defects,” says Shuibing Chen, Ph.D., associate professor of surgery and biochemistry, Weill Cornell Medical College. In a recent study, Dr. Chen and colleagues developed a differentiation protocol to examine the role of Glis3, a gene associated with type 1 and type 2 diabetes, in the biology of human pancreatic beta cells. This work revealed that the loss of Glis3 from human embryonic stem cells impaired their differentiation into pancreatic progenitor and β-like cells and increased the death of these cell types. As part of a high-content chemical screen that looked for candidates that could rescue this increased cell death, investigators in Dr. Chen’s lab identified a TGF-β inhibitor that is currently in Phase II trials. The protocol developed by Dr. Chen and colleagues for differentiating individual pancreatic cell types and modeling human disease has several advantages. “When we perform screenings, we can combine insulin, which is a β-cell marker, and glucagon, which is an α-cell marker, and we can obtain information about small molecules that promote differentiation to either of these cell lineages,” explains Dr. Chen. “We developed an approach that relies on high-throughput flow cytometry (HTFC) to identify antibody binders,” says Yana Wang, Ph.D., scientist, lead discovery, Oncology Discovery Unit, Takeda Pharmaceuticals. To support antibody discovery programs, Dr. Wang and colleagues at Takeda developed a HTFC approach that combines the iQue Screener with a modular robotic system. The approach amounts to a HTFC workflow. By incorporating sample miniaturization, acquisition speed, and plate-based data management, HTFC provides a flexible and modular solution for integrated applications, and it allows multiple parameters to be concomitantly measured robustly and accurately. HTFC enabled Dr. Wang and colleagues to multiplex cytokine beads and several cell types. Essentially, the scientists used HTFC to demonstrate how multiple cytokine levels and cell activation parameters could be monitored simultaneously, providing high-content information. The scientists also showed how their new platform could be more efficient than older platforms, which use 96-well plates and require manual sample preparation. The new platform allowed sixteen 384-well plates to be processed within 8 hours. In previous years, Takeda scientists established powerful programs for the HTS of small-molecule therapeutics. 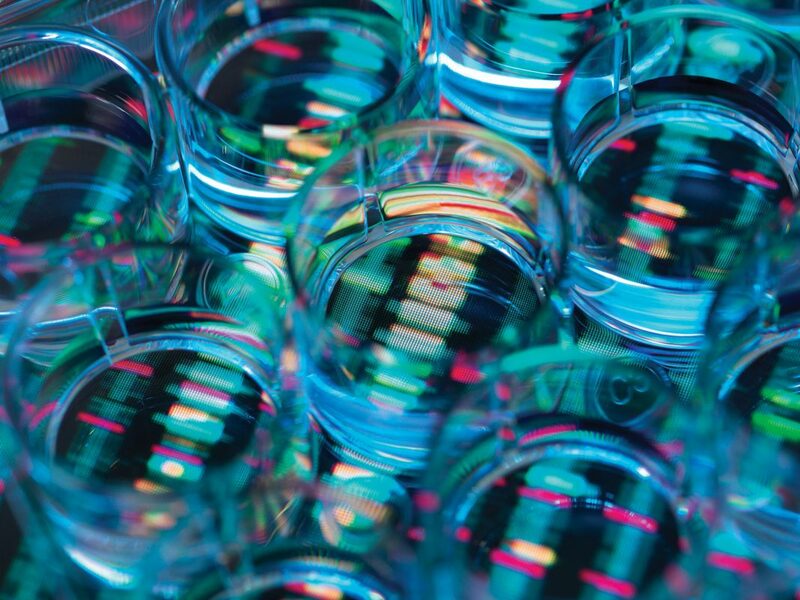 “We are trying to use this already established high-throughput screening infrastructure to develop platforms that support the needs of Takeda’s growing biologicals programs,” says Dr. Wang.